Adam Raizin with Keller Williams Realty, is adept at assisting you in getting your home sold for the highest possible price, while navigating the complicated short sale process. Having completed hundreds of real estate transactions, Adam Raizin’s past performance in this specialized area of short sales is your best guarantee of success. At this stage in the game, there is no reason so see such large numbers of foreclosures in the marketplace where most of the negative equity properties can be negotiated and sold as a short sale. Whether your property is in the low, mid or luxury segment of the market, there are common scenarios that apply to all of the above. 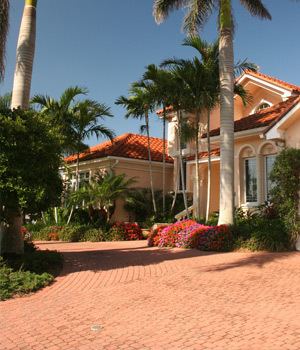 With that said, there are of course differences for your particular property that may apply to the short sale such as, but not limited to deficiency judgements, positioning the property properly in this negative equity marketplace, negotiating with one or more lien holders on the subject property, necessary key documents and the particular hardship of the borrower(s), themselves. When meeting with Adam Raizin to list your home / property for sale, there will be several topics covered such as the key documents that will be needed to follow through and complete your short sale. One of the short sale documents that will be needed is a Hardship Letter. Please note that a hardship can be one or more of the following: Decline in market value, relocation, change in income or assets, divorce or illness. Other key documents for a successful short include but not limited to, the listing agreement and purchase contracts with proper addendums, financial worksheet/statement, bank statements and tax returns. If you don’t have all or most of the above documents it is still possible to negotiate a short sale. All properties and borrowers have their own particular characteristics and situations and even though the lenders will press for full documentation, it is possible to perform a short sale if you have limited documentation. Recently a borrower with a property in was able to sell their property with only a hardship letter (illness) and basic financial statement. The short sale was approved with a full waiver and no deficiency judgement. This particular borrower owed in excess of $300,000 and his loans were satisfied by a new buyer for a purchase price of $60,000. Feel free to contact Adam Raizin, Realtor with Keller Williams Realty in Palm Beach and Delray Beach to discuss your particular situation and selling your property either as a traditional sale or short sale. Adam can be reach directly at: 561-856-1234.